Is Your Team Stuck in a Decision Loop? You have circled around the same discussion multiple times. Your group’s energy is slowing down and at risk of stalling out. This meeting is going nowhere. There are simple techniques that can help you become unstuck. The simplest, most popular method is what we facilitators refer to as multi-voting. 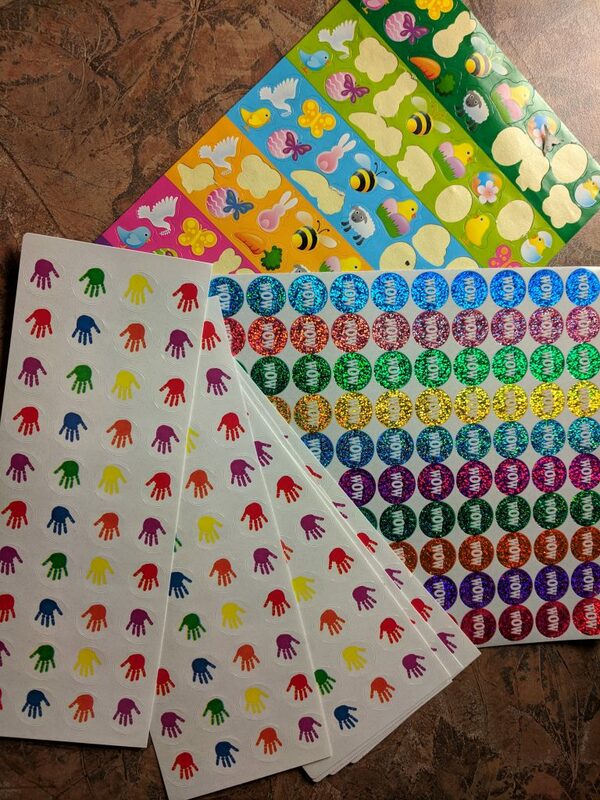 Multi-voting is just a fancy way to say, “You give people stickers,” and then the group gets to put stickers on their favorite ideas. Usually, when I am facilitating, I use scissors and cut little strips of stickers out and give each person a strip of stickers. This is how you regulate. Don’t just leave the whole pile of stickers out and ask people to regulate themselves by picking up three stickers. We saw this happen recently, where a facilitator just left the stickers on the table at a public meeting, and some people decided their opinions were worth more than three votes. As an example, if you have four ideas to prioritize, you might want to give everyone two votes or three votes, so two stickers or three stickers. I like to use a variety of colors of stickers, but be sure to randomize the colors if the voting is meant to be anonymized. If one person is given all blue stickers and someone else is getting pink stickers, then you have lost anonymity. When the stickers are randomized, you don’t know who voted for what. 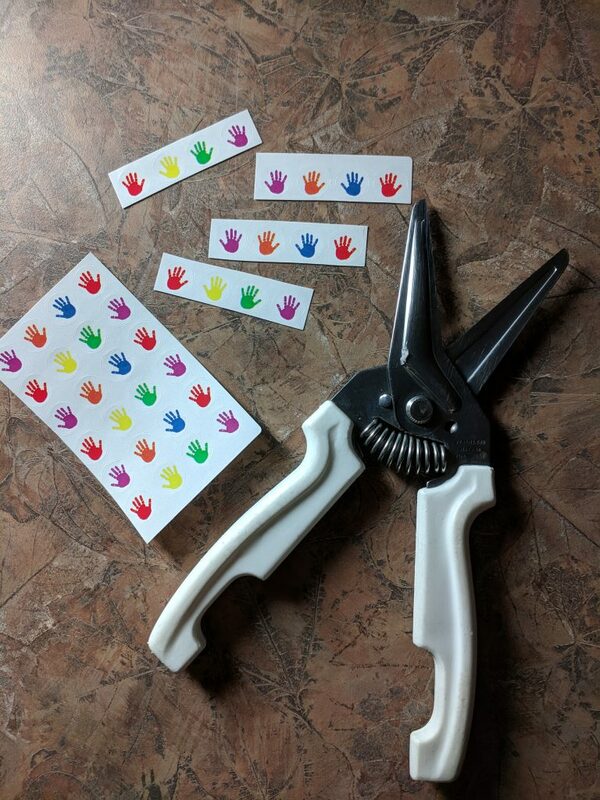 In a small group, each person may notice someone putting a sticker on an idea, but it is not as trackable or scrutinized as voting by a show of hands. If you need to know who voted for what, you could use color-coded stickers for tracking. That’s a nice advantage of having a variety of fun colorful stickers, because it gives you options. Let’s say this is how it sorts out. One of the nice things about using a technique like multi-voting is that it allows you to focus energy on the task at hand, and move a conversation forward by quickly feeling out the room and knowing where you need to focus the discussion. You can really make the most of that hour-long meeting by using simple techniques like this to zero in on what you actually need to spend your time talking about. The other benefit is that sometimes this is a way to de-personalize conversations. Often times, if you’re asking people about ideas and maybe they were the ones that came up with those ideas, it can become like, “Well, I liked Susie’s idea. I didn’t like Stefano’s idea,” and that starts to play on all the group dynamics that you have on your team. Once the idea is written up on a sticky note or on a whiteboard, it is separated out from the person who originally stated it. This presentation allows you to look at the idea on its own merits and stop referring to the person who spoke about it, or even just subtly, looking over that person everytime you discuss the idea that they proposed. These are super simple techniques; just a couple of many different techniques that facilitators use. However, these are ones that have helped me so much when I am trying to move a conversation forward. Oftentimes in a staff meeting, we get stuck, and we get into a rut with the way that we’ve always done things. 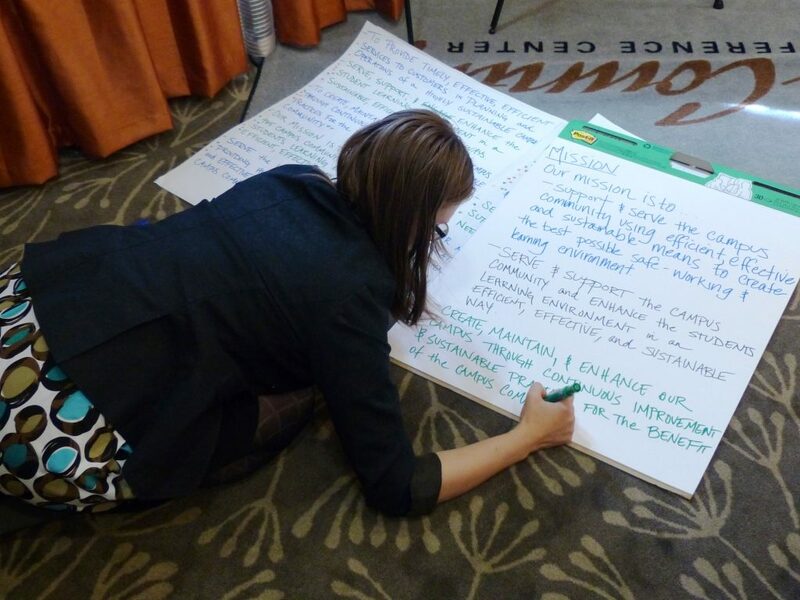 Sometimes all it takes is a flip chart and some nice, smelly markers that are going to put people in a great mood, and some colorful stickers, some colorful sticky notes, to get people moving. There’s the physical aspect of actually putting ideas or stickers up. Sometimes actually moving to the board and putting a sticker next to an idea gives everyone the sense that we are making progress. Such a simple process can help build the energy in the room. And that’s what we want to do, have everyone walk away energized. Do you lead meetings? 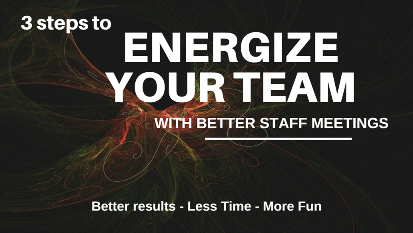 I have put together this free toolkit to help you energize your team through more productive staff meetings. Enter your name and email and click get the toolkit to have it delivered to your email as a PDF.